Concentrated extracts like Rosemary Oil should be used externally, though thedried herb can be taken internally when used in cooking. 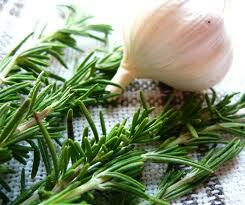 It is an especially great herb to add to meats (and pairs well with lamb). 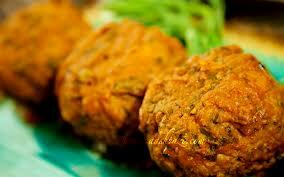 Some research suggests that it has anti-cancer properties. 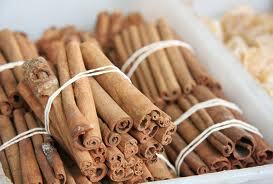 Lab studies have found that cinnamon may reduce inflammation, have antioxidant effects, and fight bacteria. But it’s unclear what the implications are for people. Interactions. If you take any medicines regularly, talk to your doctor before you start using cinnamon supplements. They could interact with antibiotics, diabetes drugs, blood thinners, heart medicines, and others. Living in Grenoble and having access to delicious French food has been a wonderful experience. However, the lack of ethnic food options has been what I miss most about home. Being from New York has really spoiled me since you have 24 hour access to foods from all over the globe. After a year and a half in France, I went home for Christmas in December and filled my suitcase with Foie Gras, Confit de Canard, homemade Conficture de Figue, and cheese. On the way back, my suitcase was filled with Mexican hot sauce, chipotle peppers in adobe sauce, and a lot of Persian groceries that would help me satisfy my cravings for Persian food. 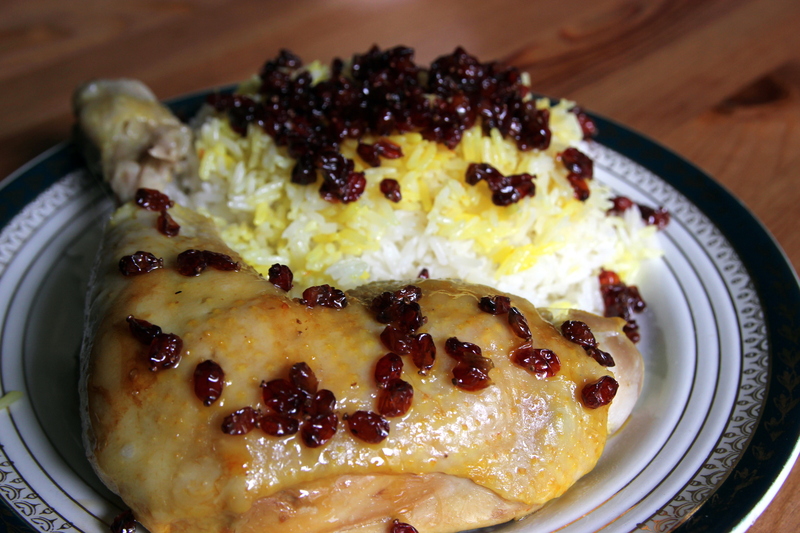 One of the simplest and most delicious Persian foods is called Zereshk Polo Ba Morgh (Barberry rice with Chicken). 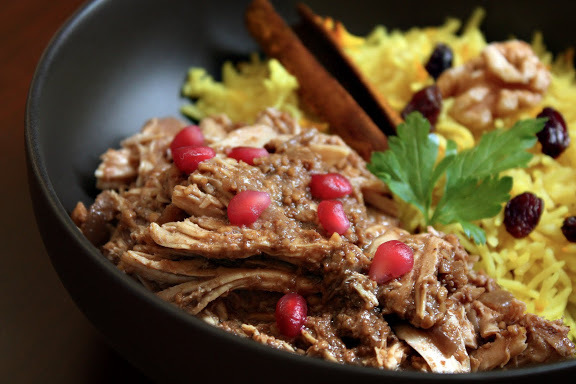 The hardest item to find for this recipe is the Zereshk (Barberries). Lucky for me, there is a very large population of Iranians in New York so hard-to-find ingredients are easy to find! I came back to Grenoble with a bag of Zereshk (Barberries) and a package of Saffron. 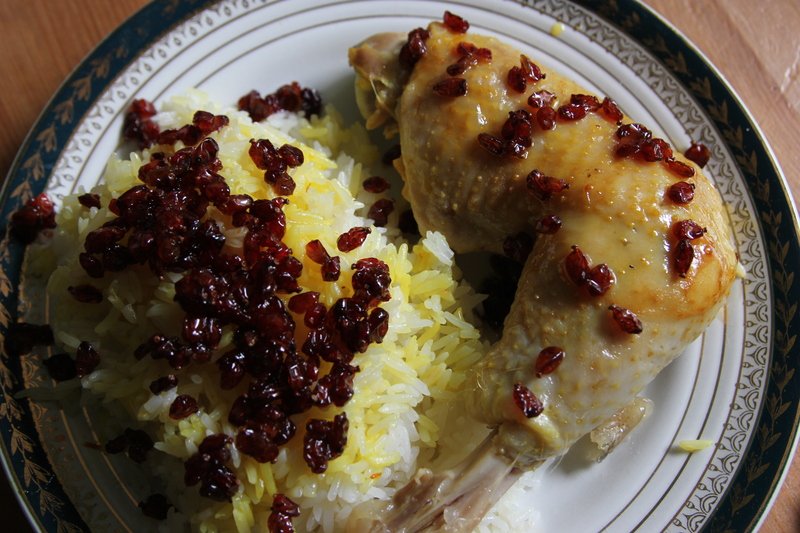 I was well-equipped to make one of my favorite foods- Zereshk Polo Ba Morgh (Barberry Rice with Chicken)! To give the chicken a nice color, I soaked Saffron threads in hot water for two hours and rubbed it all over the chicken. 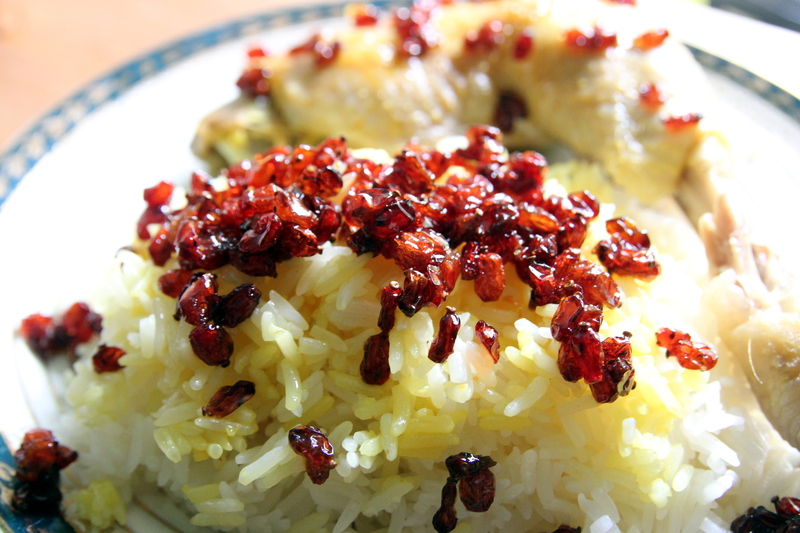 I used the saffron to also season a portion of the rice, for decorative purposes, and added the saffron threads and water to the Zereshk (Barberries) when I was cooking them. I spent some time with my Aunt Akram, in Sydney, and she taught me how to cook a delicious and moist chicken on the stove. It has always been a hit with my dinner guests. I pour a tablespoon or two of olive oil into a pot, layer the pot with sliced onions and tomatoes, add a few bay leaves, salt (pepper, if you like), two tablespoons of water, add the chicken and cover the pot. Keep it on a medium low flame to prevent the onions from burning. You can really cook it as long as you want. The longer you keep it on the stove, the easier the meat will fall off the bone. I have cooked whole chicken like this before and it comes out like a roasted chicken. Except you don’t end up with a nicely roasted layer of skin. You can also fill the sides of the pot with fingerling potatoes and carrots. Whatever you like. I have always loved cooking Zereshk. Whenever my mother would cook this meal, I would volunteer to make this. You take a saucepan, put it on a low flame, add two teaspoons of butter and then add the washed Zereshk. When the little Zereshk berries start to puff, you need to add a little bit of hot water to it. Next, you add the saffron threads that have you soaking in water. 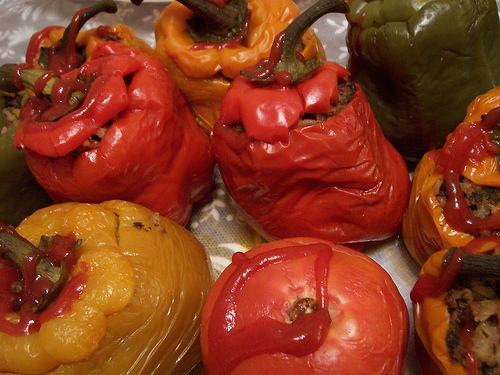 Zereshk is very sour (and is high in vitamin C!) so you need to add a bit of sugar to counterbalance the acidity. You end up with a deliciously sweet and sour sauce that goes great with rice and chicken! Saffron, the world’s most expensive spice, is derived from the dried stigma of the flower of the saffron crocus. The use of saffron comes down to us from antiquity; the spice was used by ancient Greeks, Indians, and Egyptian in both cooking and medicine. Traditional uses of saffron extend far beyond the kitchen. Saffron has been used to reduce fever, to regulate the menstrual cycle, to combat epilepsy and convulsions and to treat digestive disorders. 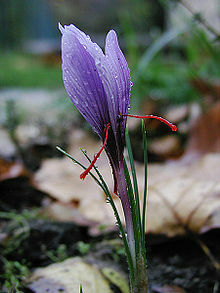 The bitter glucoside picrocrocin is responsible for saffron’s flavour. In a food processor, grind the walnuts into fine meal, taking care not to over-process lest you end up with walnut butter. 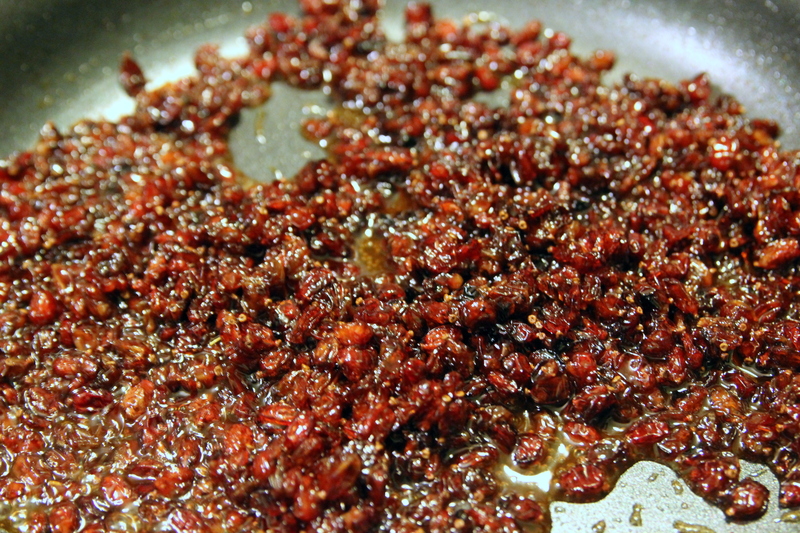 In a large saucepan, sauté the ground walnuts over medium heat along with the chopped onion until the walnuts start to release some oil and become darker in color. By that time, the onion will have become soft and translucent as well. Arrange the chicken breasts in the pan in a single layer, bone side down. Drizzle pomegranate molasses and sprinkle the salt all over the chicken. Add one cup of water to the pan and bring it all to a gentle boil; cover, lower the heat slightly, and let the stew simmer gently for 20 minutes. Flip the chicken pieces and scrape the walnut sauce off the bottom of the pan to prevent scorching; continue to simmer gently for another 20 minutes. 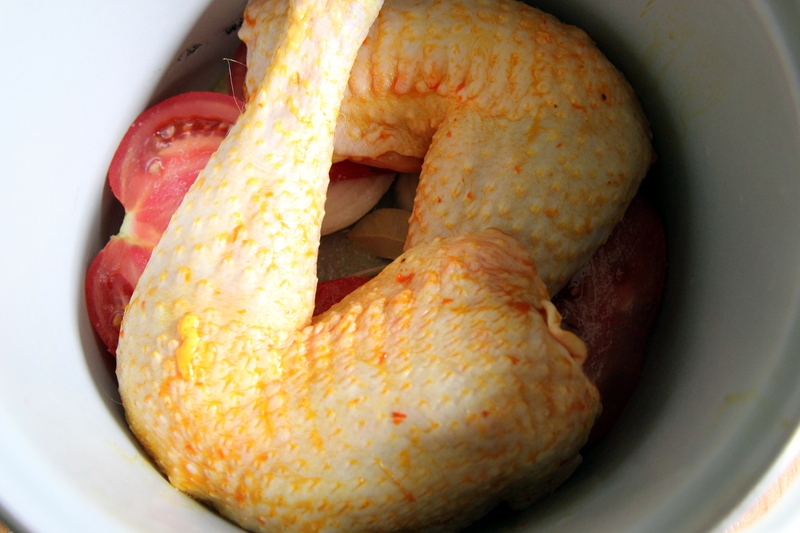 Turn off the heat and transfer the chicken to a separate bowl; allow the meat to cool. Once the chicken pieces are cool enough to handle, remove the bones and shred the meat into bite-sized pieces. Return the shredded chicken to the pan and stir to allow the chicken to be fully covered with the sauce; heat through. Correct seasoning with more salt, if necessary. 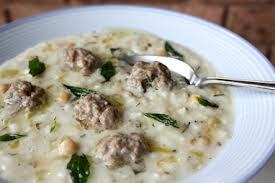 If the stew is too acidic for your taste, a pinch of sugar will help balance it out somewhat. Serve warm over saffron rice pilaf. Why did I create Maryam’s kitchen? Last year I started my Master of International Business in Hult, Shanghai Campus. The student body in Hult was so diverse and the students were from all over the world. Meanwhile, students were very eager to know about each other’s culture, country, and background. Almost all the students were living in the same accommodation, therefore, facilitating the communication. We decided to gather every time in one of the floors and the person who was living there make some traditional food, pastries, or even talk about them. So, we get to know each other better. I and my sister, who is also a student in Hult shanghai, decided to invite our classmates over to our floor and make some Iranian food and pastries. We talked about the foods and their origin within the country. We hosted similar events in our floor for a couple of times. However, we noticed that we basically make Iranian food from our own city, and we are not very effectively introducing other provinces of Iran. Also, many of my classmates wanted to know about the recipe, and the ingredients of the foods and pastries. Therefore, we either told them verbally or write it down for them. All of us at Hult found that this is very effective as part of getting to know each other and even make the living environment in the accommodation very friendly. Therefore, If I were to make a blog, I would use it to bring people closer to each other, help them understand different cultures, improve knowledge about different countries in the world.